Going grocery shopping on a budget can be very stressful and discouraging. It can be demoralizing to realize that you cannot buy all of the fresh foods you want, just because they are so expensive. Also, people who live on a tight budget are often very busy with part-time jobs, making it hard to cook meals from scratch. Here are some pointers for how to grocery shop on a budget. To build a cheap grocery list, you need to plan your menu. 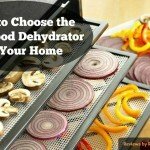 This takes the guesswork out of your grocery shopping and is a great deterrent for impulse buys. Sure, Ramen noodles may be cheap, but does everyone in the house eat Ramen noodles, or does just the college student? 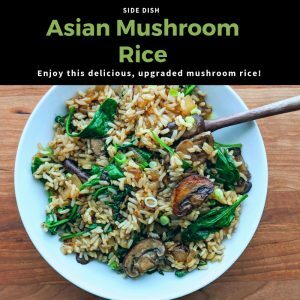 Build your menu and your grocery list after perusing the grocery store ads. You can see what is on sale and plan your menu accordingly. Do not forget to check for specials on spices, because spices will make simple meals more special. Your cheap grocery list should focus, as much as possible, on items found around the perimeter of the store. Most items in the middle of the store are unnecessary for meals and everyday functioning of your household, with the exception, of course, of cleaning and toiletry items. These mystical inner isles also tempt you to impulse buys and to fill your pantry with non-essential items. In addition, you will be amazed at how expensive some of our “necessities” are. Here are some items to add to your grocery list that will save you money. Crackers are cheaper than chips. Cereal in a sack. Boxed cereal costs more than a good cut of steak. A $5 box of cereal has only about 10 ounces of food. 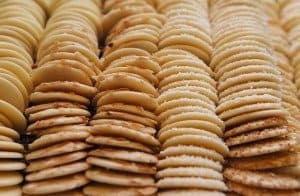 Crackers, not chips. Chips are as big a waste of money as boxed cereal. Either buy them at the Dollar Store or switch to crackers. No soda. Brew tea or drink coffee, instead. Buy frozen vegetables. Frozen vegetables cost a little less than fresh, but will “keep” in the freezer. If you ever find yourself throwing away vegetables because you didn’t use them in time, frozen may be the way to go. Buy detergent and toiletries at the dollar store. 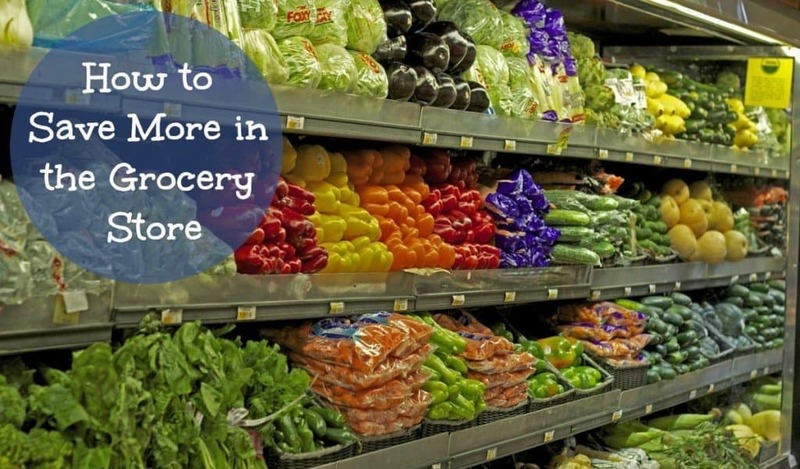 It is almost always 20% cheaper than you will find at the grocery store. Make your own detergent. There are numerous recipes available that will cut your laundry detergent bill in half. I have made my own for 2 years, now, and have spent no more than $80 in that entire time. Look for special discounts and deals. 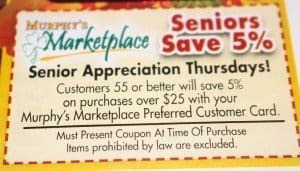 Where do you find coupons, and where do they work? 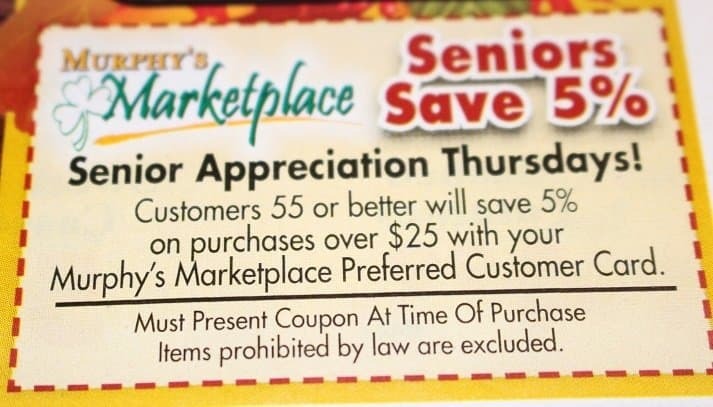 Well, there are often coupons available at the grocery store, and they are certainly in the newspaper and online. You can enter the search word in a browser window for coupons for a particular grocery item, and find many links to useful coupons. Many people save tremendous amounts of money on their purchases by shopping only double coupon stores and buying in bulk. But, maybe you have had the same experience as me. The coupons I get are always for items that I never buy. Why would I want to buy something we will never eat, just because I can get it for a few pennies? I also learned a lesson about hoarding. I would buy in bulk, just so I would have it, and it would sit in the pantry for weeks to months at a time. I did not save any money, because Every month I would buy in bulk and use all of my budget. 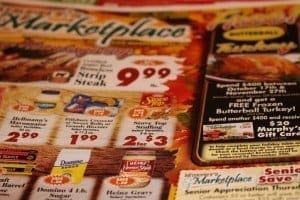 Grocery coupons will save you TONS of money if you eat those foods. If not, skip the coupons. They will help you more when it comes to toiletries, clothing, and household items. 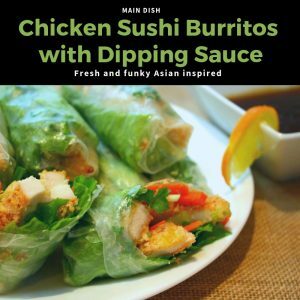 You will find printable manufacturer coupons on the internet. Make sure they are within the expiration date, and are authentic coupons. Beware of companies that will try to charge you for coupons, some are not authentic. There are several places where you can find cheap groceries online. You can find groceries on Amazon, and order them for a 15% discount with a subscription. In addition, orders over $25 are free shipping. Netgrocer is another online grocery store. It has been around for a long time and has a good reputation as well as a good selection. Shipping rates are not too bad, but always figure this in to make sure you are saving money. MyBrands is another great source for online groceries. Just watch out for minimum orders. Grow your own. Any article on grocery shopping on a budget should include the benefits of raising your own food. Check with zoning, but you will find that even in suburban and urban areas, you can have your own chickens, harvesting fresh eggs every day. Plus, a kitchen garden is a great source of fresh vegetables. Assemble meals ahead of time. 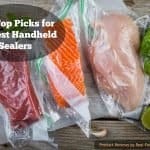 There are a lot of sites that have recipes that show you how to place all of the ingredients for a family meal in one ziplock bag in the freezer. When a meal is easier to assemble, you will be less tempted to stop for fast food on the way home in the evening. 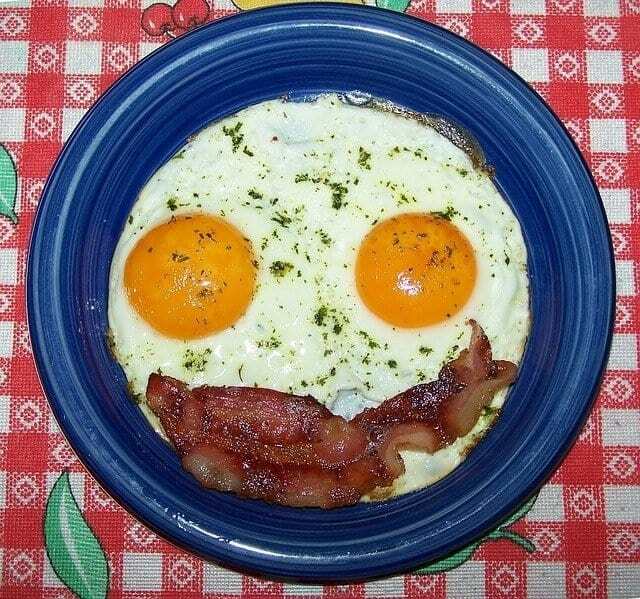 Cook breakfast. A hot, cooked breakfast is cheaper than a pre-packed breakfast and usually healthier. And Jimny Dean egg and cheese biscuits do not count. 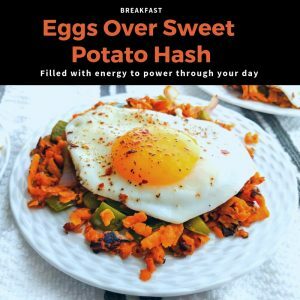 Cooking breakfast is one way to save money on family meals. Through my experiences, I have learned that planning family meals on a budget will save time and money in the long run. Children who have been raised to eat what has been set before them are, of course, easier to feed on a budget, but with careful planning, you can make everybody happy.